AMCHS is dedicated to educating and empowering students to become confident, resourceful, lifelong learners who are prepared for challenges beyond high school. Students of AMCHS will know the value of giving more than they take, will be responsible for their own actions, and will know that they are an important part of our school community. 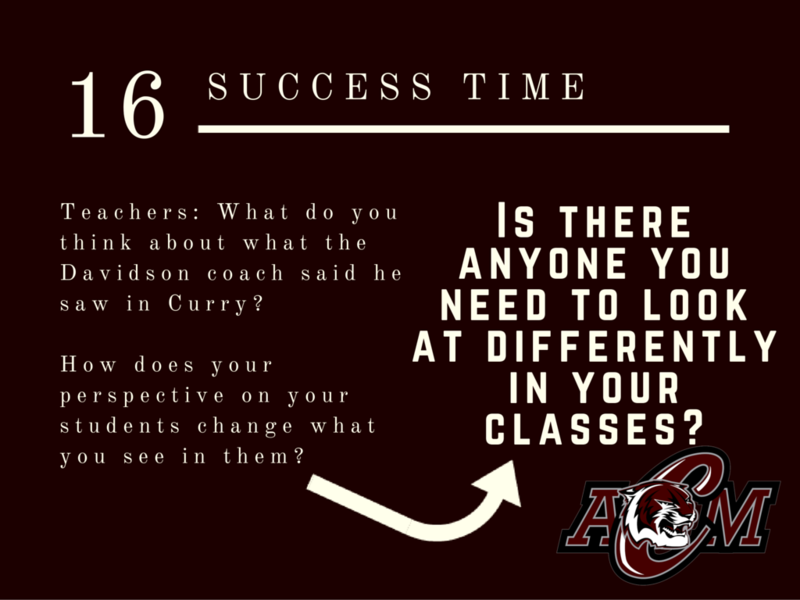 During Success Time, we hope to (1) positively and proactively set our expectations for student behavior and (2) establish a campus culture that reflects our vision for our students. Success Time teachers have the freedom to choose to use the provided materials to teach these lessons or to create a different approach that will fit their ST students. 1) Students will understand ways to prevent dating violence. 2) Students will understand the importance of valuing themselves. We know that the demands put on high school students are tough. You all balance a lot. School work, jobs, extracurrirulars, family responsibilities, and more fill up your weeks day in and day out. Today, we want to give you the opportunity to share with us something that you wish we knew. Maybe it's about how hard you're trying. Maybe it's about what you wish a teacher or principal knew. Maybe it's about how you good things have been at Consol or what we could do to help make things better. Or maybe it's something totally different. Regardless, we want to hear from you. The everything here will be done anonymously. Take a little time to share a few thoughts with us! 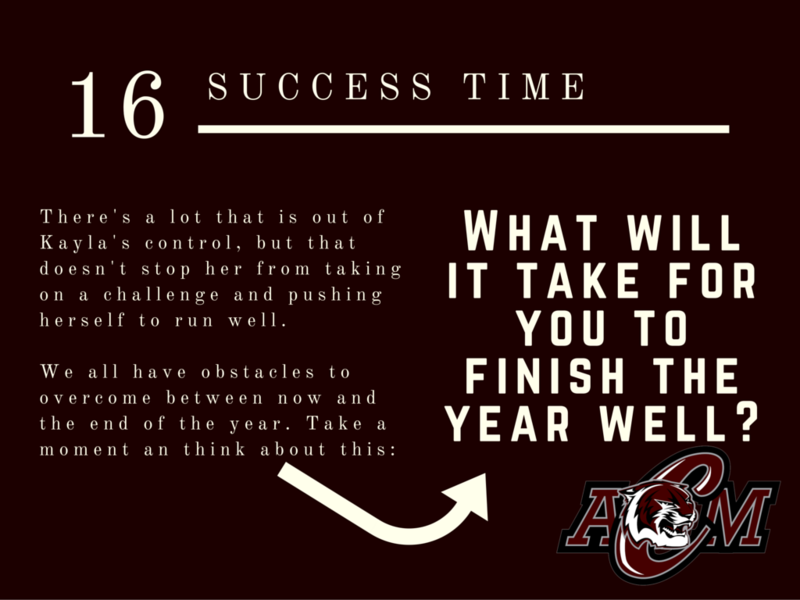 Click this link to the form or visit tinyurl.com/AMCHS16 to share with us. Students will review the staff and everyday infraction expectations. ​Students will review the pupil progression plan details. 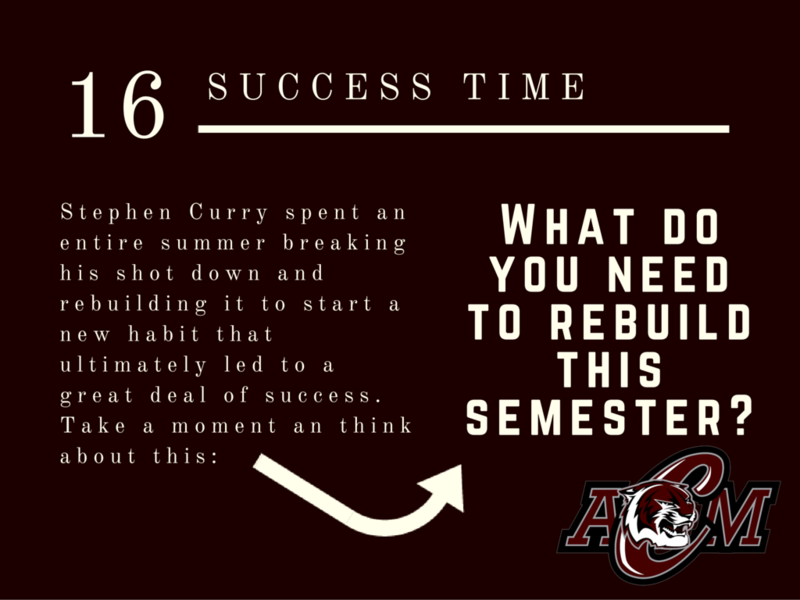 Students will consider the value of recovering from failure and overcoming obstacles. 1) Students will begin to get to know their ST classmates. 2) Students will know what lunch they are assigned. 1) Students will recognize the administrators and counselors. 2) Students will understand expectations for everyday infractions. Students will identify ways to overcome struggles. Students will identify new ways to get connected at AMCHS. Students will understand the impact of taking a second look at something from a different perspective. Students will understand the STOP model and will get organized to finish the first six weeks well. 9th grade: Students will understand the PSAT8/9 exam (to be administered 10.14.15). 10th-11th grade: Students will understand the PSAT exam (to be administered 10.14.15). 12th grade: Students will receive senior skate day information. 1) Students will understand the importance of thinking before they post online. 9th grade: Students will understand how credits work in high school. 10th-12th grade: Students will offer encouragement to younger AMCHS students. Objective: Students will understand their perceptions of failure and consider alternatives. Students will identify ways to hopefully approach bad days. No lesson. Grades due at 4:00pm. Students will understand the benefits of brain breaks. Students will understand the Pupil Progression Plan at AMCHS. Students will understand how exemptions work at AMCHS.